Abdel Latif, an old man from the Aleppo region, dies peacefully in a hospital bed in Damascus. His final wish, conveyed to his youngest son, Bolbol, is to be buried in the family plot in their ancestral village of Anabiya. Though Abdel was hardly an ideal father, and though Bolbol is estranged from his siblings, this conscientious son persuades his older brother Hussein and his sister Fatima to accompany him and the body to Anabiya, which is—after all—only a two-hour drive from Damascus. There’s only one problem: Their country is a war zone. With the landscape of their childhood now a labyrinth of competing armies whose actions are at once arbitrary and lethal, the siblings’ decision to set aside their differences and honor their father’s request quickly balloons from a minor commitment into an epic and life-threatening quest. Syria, however, is no longer a place for heroes, and the decisions the family must make along the way—as they find themselves captured and recaptured, interrogated, imprisoned, and bombed—will prove to have enormous consequences for all of them. 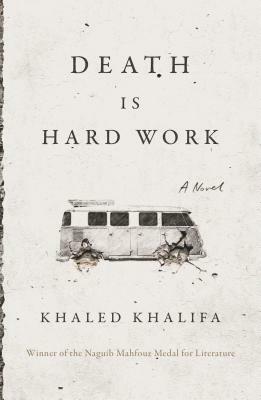 KHALED KHALIFA was born in 1964 near Aleppo, Syria. He is the fifth child of a family of thirteen siblings. He studied law at Aleppo University and actively participated in the foundation of Aleph magazine with a group of writers and poets. A few months later, the magazine was closed down by Syrian censorship. Active on the arts scene in Damascus where he lives, Khalifa is a writer of screenplays for television and cinema. In Praise of Hatred is his third novel.